Cornus is a genus of about 45 species of mainly deciduous shrubs and small trees from grassland, thickets, woodland and rocky slopes. Leaves are opposite, lance-shaped to ovate and mid- to dark-green. Dogwoods are primarily grown as bonsai for their flowers in Summer and their rich Autumnal foliage colour. 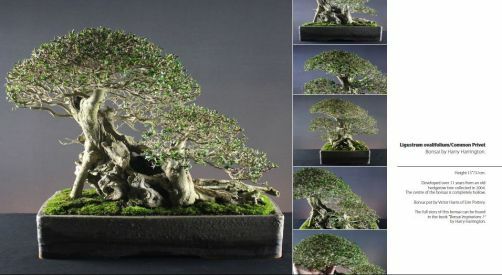 There are 3 Cornus species that are commonly used for bonsai. Cornus kousa is a broadly conical, deciduous tree with flaking bark and ovate, wavy-margined, dark-green leaves to 8cm long. In Autumn, leaves turn a deep crimson-purple colour. In early Summer, green flowers are produced in flowerheads to 1cm across, surrounded by 4 white bracts around 2-5cm long. Flowers are followed by strawberry-like, fleshy red fruit. Native to Korea and Japan where heights of 7metres are often reached. There are a number of Cornus kousa varieties that carry differing coloured bracts. Cornus mas is a vigorous, spreading, deciduous shrub or small tree with ovate, dark-green leaves to 10cm long, turning red-purple in Autumn. Yellow flowers are produced in small umbels to 2cm across, in late Winter before the leaves appear. Oblong, fleshy, bright red fruit are produced in late Summer and are edible when ripe. Native to Europe and west Asia where heights of 5metres are normally reached. Cornus mas 'Aurea' has yellow, juvenile leaves, maturing to mid-green. C.m. '(Aureo) Elegantissima' has leaves margined with pink and yellow. Cornus officinalis is a vigorous, spreading shrub with rough, flaking brown bark and ovate dark-green leaves to 10cm long, turning red-purple in Autumn. Yellow flowers are produced in loose umbels, 2cm across in late-Winter before the leaves open. They are followed by edible, bright red fruit. Native to China, Korea and Japan where heights of 5metres with a 5metre spread are normally reached. POSITION Full sun with some shade in Summer. Frost hardy to -10°C. FEEDING Every two weeks throughout the Spring and Summer. REPOTTING Every one or two years in Spring as leaf-buds extend. PRUNING Trim new shoots to shape after flowers fade. Remove spent flowers if fruit is not required. PROPAGATION Sow seed outside in Autumn or stratify and sow in Spring. Root greenwood cuttings in Summer. Hardwood cuttings in Winter. PESTS AND DISEASE Aphids and caterpillars. STYLING Informal and slanting forms, with single or multiple trunks in medium to extra-large sizes.